The Kimberley is on the brink of large-scale industrialization that will destroy its sublime beauty and miraculous integrity forever. To those who can hear, all around Australia and in the wider world, the Kimberley is calling. But how can we articulate this call? To what part of us does this vast empire of nature speak? Time and again we have seen set out in the campaign literature the scientific arguments and the legal cases based on them - the charts and litanies of endangered species, biodiversity values, migratory species and remnant vegetation communities – but arguments of this kind are barely distinguishable from one environmental cause to another. Important and key to our understanding as science is, such arguments do not capture what the Kimberley means to us nor why it is imperative to preserve such a vast realm, a realm not merely of remnants and last things, but of abundant life, where life still marches to its own tune, to the rhythms of the planet. The scientific arguments spell out the facts but have little purchase on our imagination, on the spirit we share with all life, with all existence – the spirit in each of us to which the Kimberley is calling. To articulate this call, and to explain why we should listen and respond, is surely a task for writers, poets, artists, musicians and philosophers. The purpose of this web site is to begin to bring such a medley of voices – specifically those of writers, poets and philosophers - together to “sing up” the Kimberley in its hour of danger. PAN is a journal publishing articles, short prose pieces and poetry exploring the philosophical, psychological, mythological, religious, and aesthetic underpinnings of sustainability thought, design and practice. PAN aims to foster perspectives that depart from conventional understandings of ‘nature’ and ‘culture’ in order to open alternative pathways of thinking and living ethically and creatively at a time of deepening environmental and social crisis. PAN seeks in particular to provide a forum for emerging conversations between indigenous and settler cultures around questions of reinhabitation, especially, but not exclusively, in Australia. Aiming to bridge the gap between activism and the academy, PAN is pitched at a general readership with an interest in creating a new ecological culture of sustainability. Each issue includes scholarly articles which have been subject to independent peer review as well as other contributions selected by the editors. 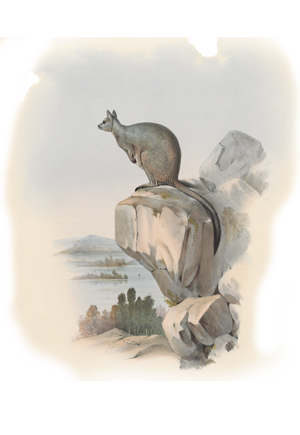 Wallaby pictures on this site appear with the kind permission of the State Library of Victoria. Thanks to Kate Lee for use of “kangaroos in the mist” photographs.